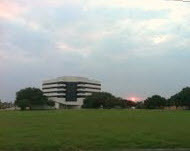 Victoria Tower is the premiere office building in Victoria, Texas. The Tower is a six-story, 105,000 square foot Class "A" office building. Architecturally, the building has an atrium design with glass elevators and a water fountain feature, complimented with a massive skylight over the main lobby and excellent views. Various floor plan options at affordable rental rates. Referrals for new tenants will result in a donation to the charity of your choice!